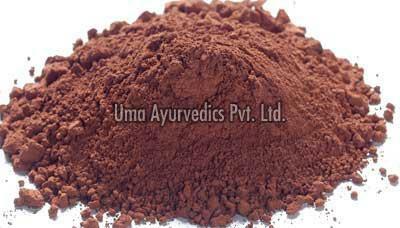 Lauh & Mandur are the classical Indian herbo-mineral products that have Lauh Bhasma (incinerated iron) or Mandur Bhasma (Incinerated iron oxide) as one of their prime ingredients. They are considered to be rejuvenators of the rakta dhatu (Blood) which itself is considered to be one of the seven essential factors that behold the very existence of the body and is said to be one of the ten abodes of the life mentioned in Ayurvedic classics. It is such an essential factor that the very existence of the life can not be imagined in its absence. The Lauh & Mandur preparations are used in all the primary and secondary cases of the Pandu i.e. quantitative & qualitative loss of the vital force of the life which has been mentioned as Rakta in Ayurvedic literature. Being promoters and modulators of haemopoisis they have been popular as mainstay of the prescriptions of the Ayurvedic physicians from centuries in such conditions. Not only that they are also therapeutically effective in treating the complications associated with the condition of the Pandu such as oedema, lethargy, loss of appetite. The Lauh & Mandur preparations of UMA AYURVEDICS PVT. LTD. are being relied upon and appreciated by hundreds of the practicing physicians for nearly for their therapeutic efficacy and safety for more than seven decades. Their unrelenting faith and appreciation is the vibrant energy that makes us to stand proudly in Indian pharmaceutical market. We have expertise in offering Dhatri Lauh, Nawayas Lauh and Pradrantak Lauh. Visham Jwarantak Lauh Cirayata, Pittapapda, Devdaru, Pristhaparni, Trikatu, Trayamana, Giloya, Abhraka bhasma Chronic fevers, Malabsorption syndrome, Anaemia Bhes. Rat.